According to a recent report by analyst Scott Devitt from the financial firm Morgan Stanley, Google can pay Apple $ 1 billion per year to become the default search engine on iOS devices. Devitt predicts that number will continue to increase over the next few years as the iPhone , iPod Touch , iPad, more and more users. For Apple, $ 1 billion is not a large amount for a quarter, the company can profit many times like that (in the first fiscal quarter of 2013, Apple had a profit of 13 billion). However, with Google, this is a good deal. Devitt estimates Google is holding 95% of search traffic on mobile devices. The default Android, use the Google search tool, now the company has added another big piece of cake from iOS for just $ 1 billion per year. In the past, many analysts believe that Apple share revenue from advertising with Google. For every dollar earned from advertising through Google search on iOS, Apple is entitled to 75 cents. However, Devitt do not think like that as sharing so too difficult. 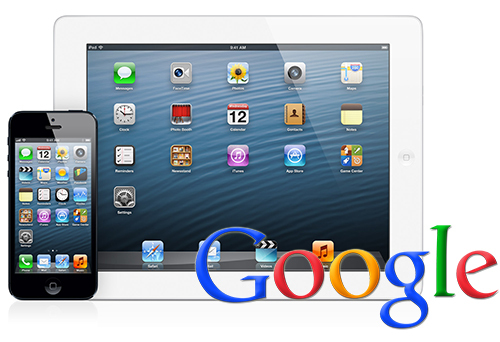 Instead, Apple may have Google charges based on the number of iOS devices sold. This measure helps Apple easier to calculate, and the company also not worry lost money when users visit Google.com and do a search instead of using the search box in Safari. Some investors expressed concern that the cost of traffic that Google pay Apple will increase rapidly, but Devitt estimated amount only increased by 5% each year.